Dr. Munk was accepted into the premedical program at McGill University in 2003 and graduated at the top of his class in 2008. He subsequently completed a 5-year dermatology residency at McGill in 2013. As chief resident, Dr Munk received the resident teacher of the year award for his commitment to educating other trainees. Upon completion of his dermatology training, Dr. Munk attended the University of Ottawa for a 1-year fellowship in Laser and Cosmetic dermatology. 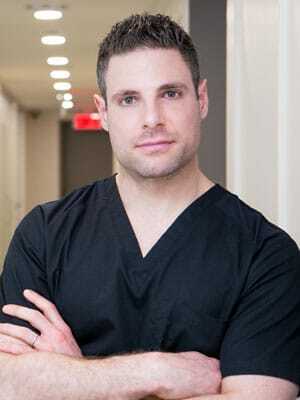 He decided to bring back to Montreal his experience with laser technology and cosmetic injectables, and his practice MunkMD opened in September 2014. Dr. Munk is board certified in both Canada and the United States. He has presented on numerous topics pertaining to medical and cosmetic dermatology at many medical conferences. Considered a young leader in the field, Dr. Munk is frequently an invited speaker to educate family physicians and other health professionals about dermatology and aesthetics. His numerous academic awards and achievements are a testament to his dedication and knowledge in the field of dermatology. Dr. Munk’s main cosmetic interests include the use of non-invasive injectables for aesthetic rejuvenation and restoration (fillers and neuromodulators like Botox and Dysport), as well as photo rejuvenation, vascular and pigment lasers, non-invasive body contouring, skin tightening, and fractionated resurfacing. Medical interests include treating skin cancers, acne, rosacea, and psoriasis.